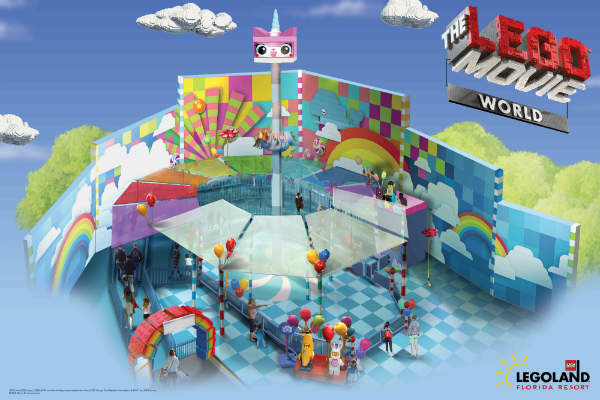 The attraction is the first in the world at a major theme park that embeds a 180-degree turn in the ride experience. The ride animation will feature a humorous and magical adventure as guests soar through Cloud Cuckoo Land, dive to Middle Zealand and splash down on the waters of Pirate’s Cove. 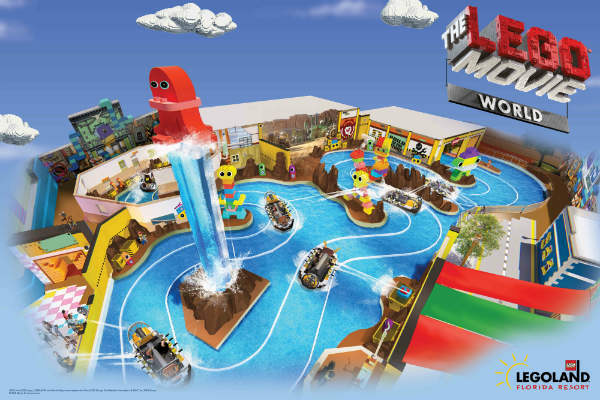 Meanwhile over at Battle of Bricksburg, the only water ride in THE LEGO MOVIE WORLD, riders are challenged to stop DUPLO aliens from invading and stealing LEGO bricks by spraying water at targets from their boats. The riders aren’t the only ones who can enjoy playing in the water, outside of the ride will be water cannons for guests to spray and help the riders save the day. Playing makes one hungry, and guests can grab a quick bite to eat at Taco Everyday, or visit The Awesome Shop to find special memorabilia and souvenirs. In the heart of THE LEGO MOVIE WORLD, kids can climb and play inside Benny’s PLAYSHIP!, a space-themed playground structure. Kids can also visit Emmet’s Super Suite apartment for a true character experience to meet Emmet and friends, and even snag a picture! 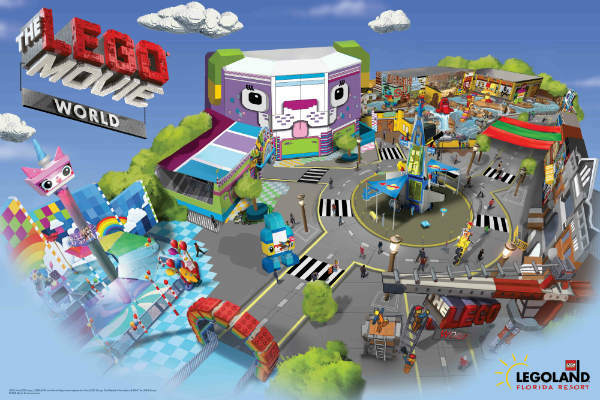 The character experience features a variety of scenes from THE LEGO® MOVIE™ universe. 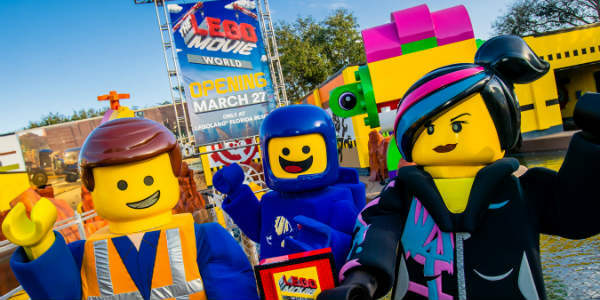 To continue the fun, guests can enjoy the ultimate vacation just steps away at LEGOLAND® Hotel in the new THE LEGO MOVIE themed rooms. Designed with beloved characters from the movie, no detail is left untouched. Adults can relax in their own room inspired by Emmet’s apartment, while kids dream of spaceship adventures in a separate children’s room themed after Benny’s Spaceship. 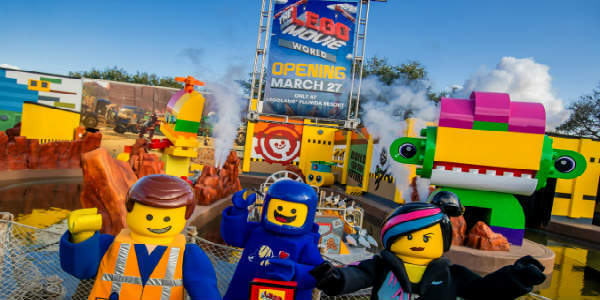 For more information, or to book your vacation, visit legoland.com/florida.